It was really a different trip than what I was expecting. 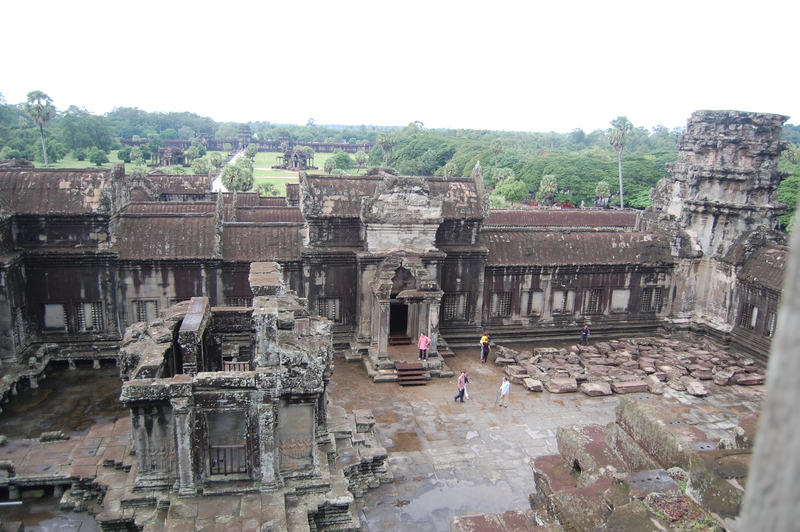 As most of other tourists I came to Cambodia to see the famous Angkor Wat temple but what I truly discovered was exceeding my expectations. There is so much more why to visit this country before it becomes even more touristic. 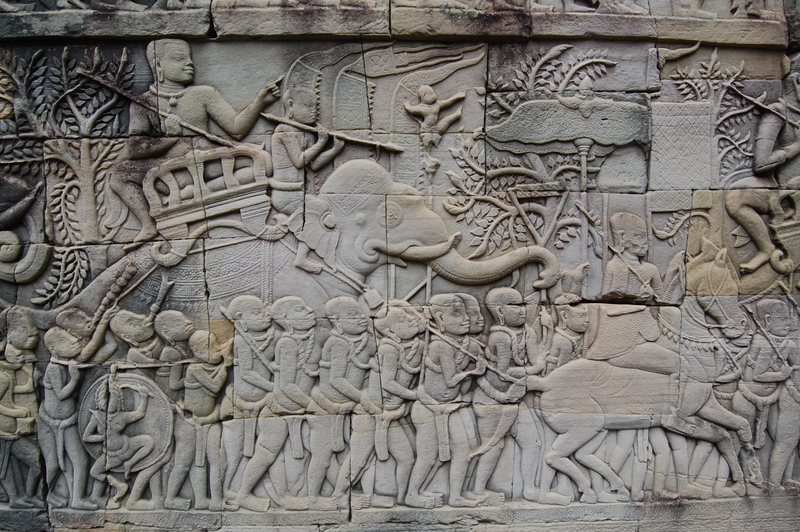 Cambodia is a relatively small country (the Kingdom of Cambodia), it has about 14 million inhabitants who are predominantly Buddhists (95%). Until the 50’s of the last century, the State was under the rule of the French and I must say that I did sometimes feel like being in Europe at least judging by some of the buildings. 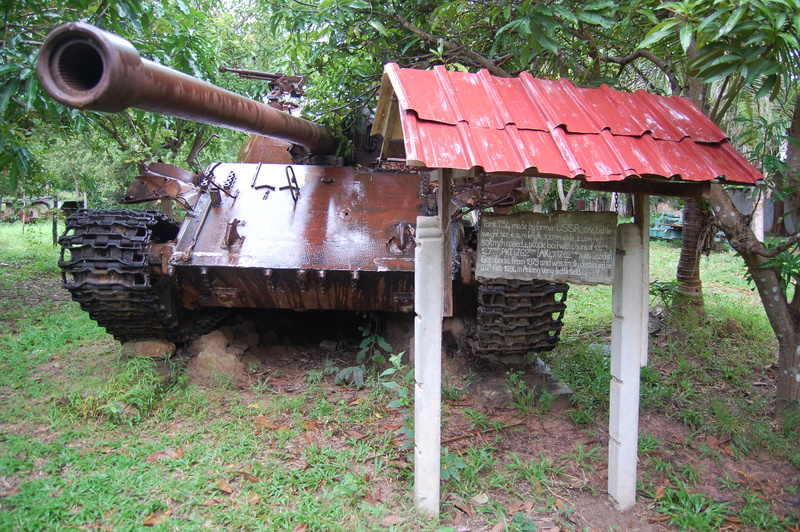 The no sensible civil war of 1975-78 has almost destroyed the entire country and much of its populations. 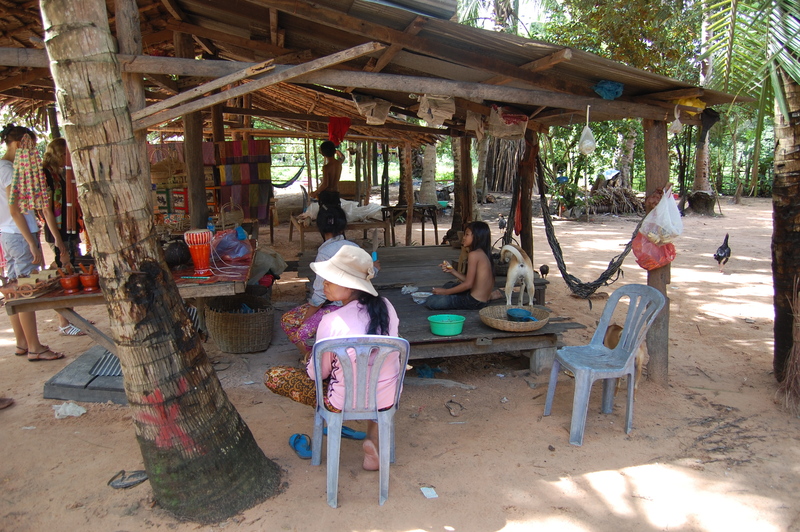 Nowadays, they still have to cope with serious consequences such as mine fields in the inland or mutilated people. 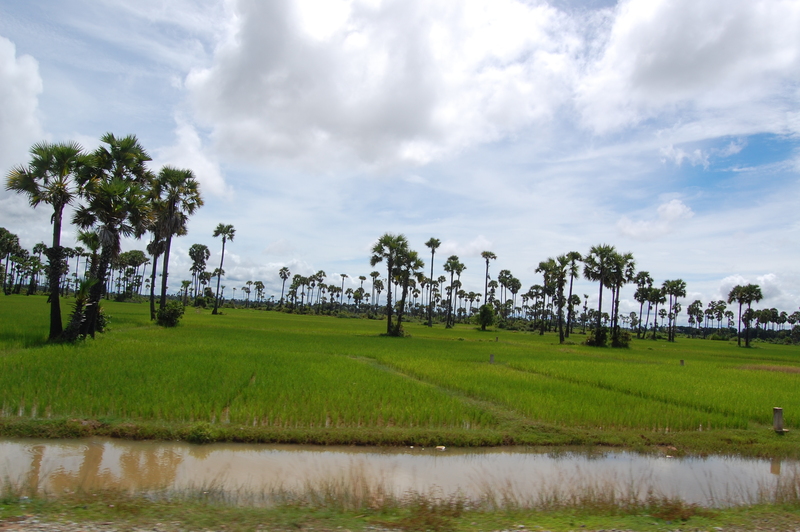 Cambodia was one of the most land-mined countries in the world! 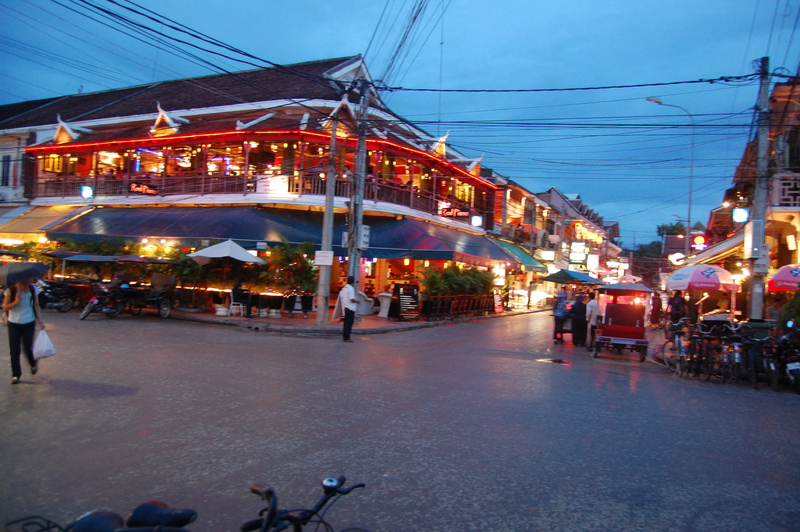 We decided to stay in one of the local hotels in SIEM REAP – which is the capital city of Siem Reap Province and the most popular gateway to Angkor region with main sightseeing spots, restaurants and local traditional markets. Cambodian cuisine is relatively unknown to the world compared to that of its neighbors such as Thailand or Vietnam but it’s a bit unfair given its flavorful tastes. 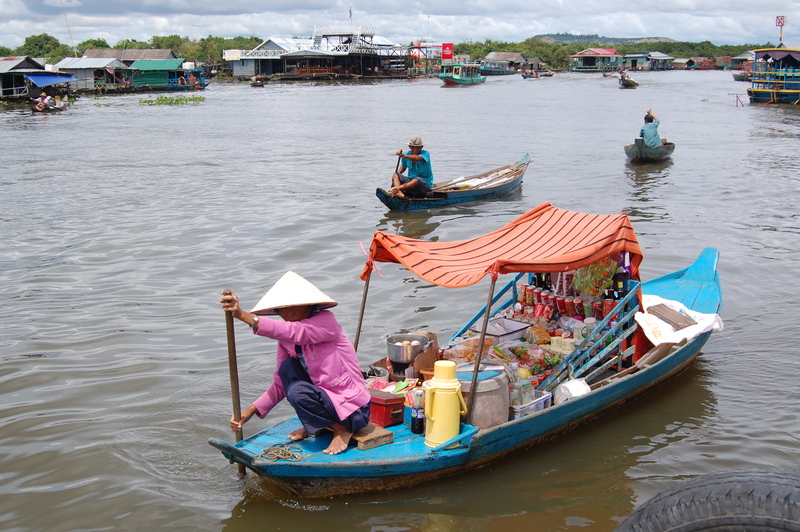 The main products in the local cuisine are rice and noodles, fish from Mekong River and tropical fruits. Whilst there are countless numbers of luxury hotels and hotel restaurants for tourists as usual the best food can be eaten on streets! 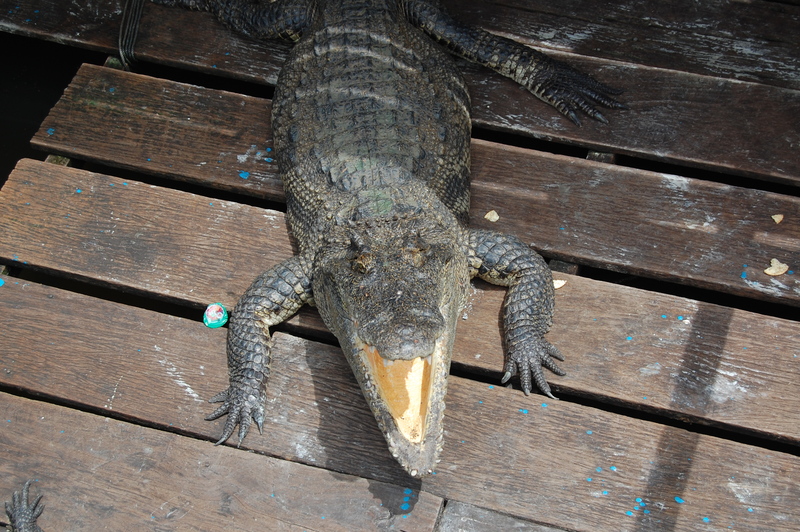 If you happen to be bit adventurous you can try fried beetles or spiders (I do admit I was not adventurous enough…). 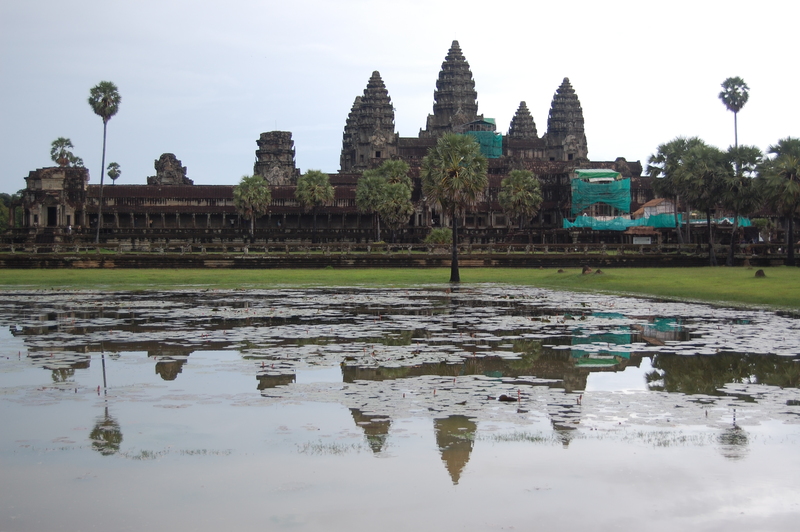 ANGKOR WAT PALACE – absolutely a must-see place, don’t miss its fantastic and well known “View of Towers” and if you manage to capture this amazing moment during a sunset you capture an unforgettable memory! 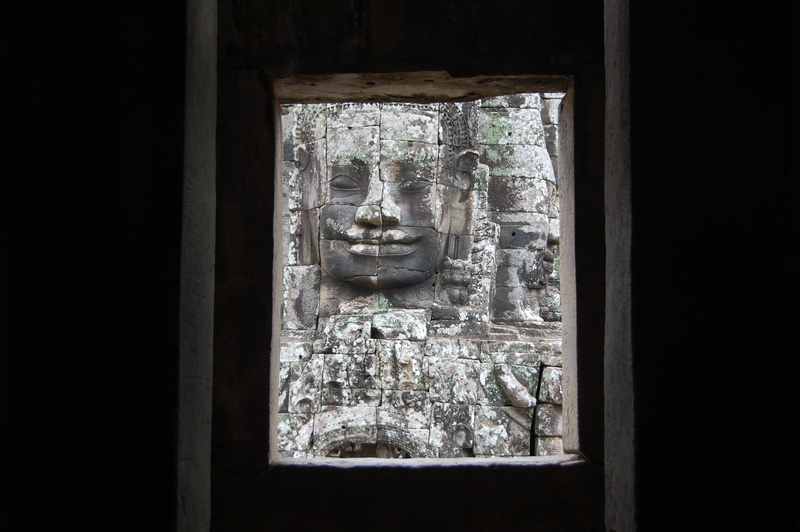 Angkor Wat is the most unique temple complex in Cambodia and the LARGEST religious monument in the world! 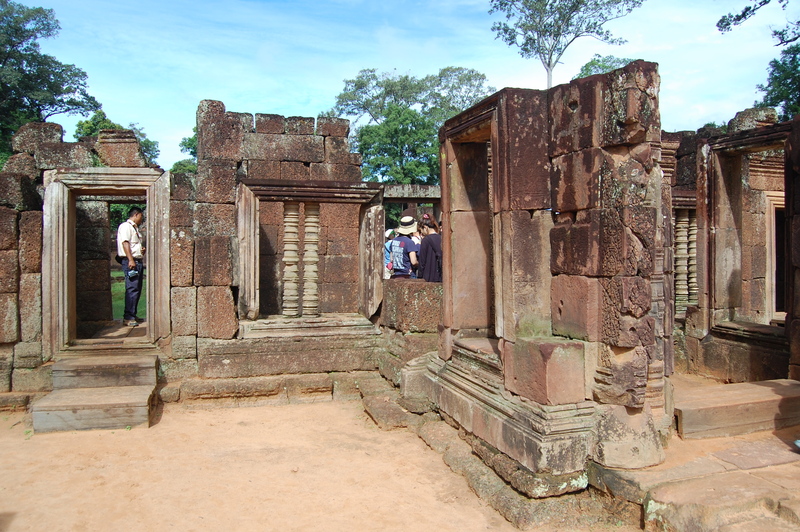 It was built in 12th century and lies 5,5 km north of the modern town SIEM REAP. 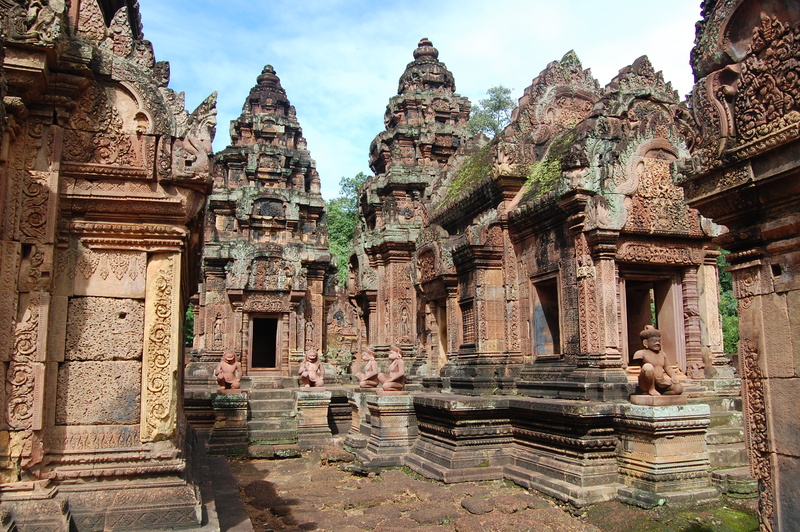 The temple (that was first a Hindu, later a Buddhist one) was built at the top of the high classical style of KHMER architecture. 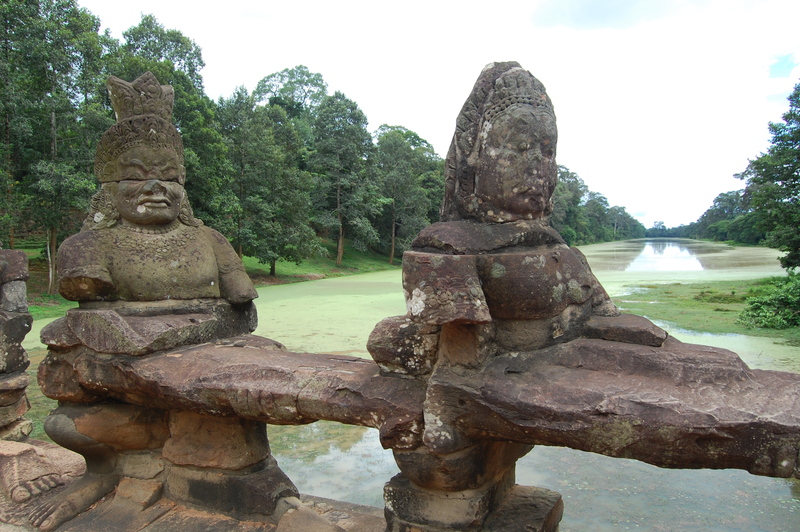 For several centuries it was lost in the jungle and only re-discovered much later has now became a symbol of Cambodia. 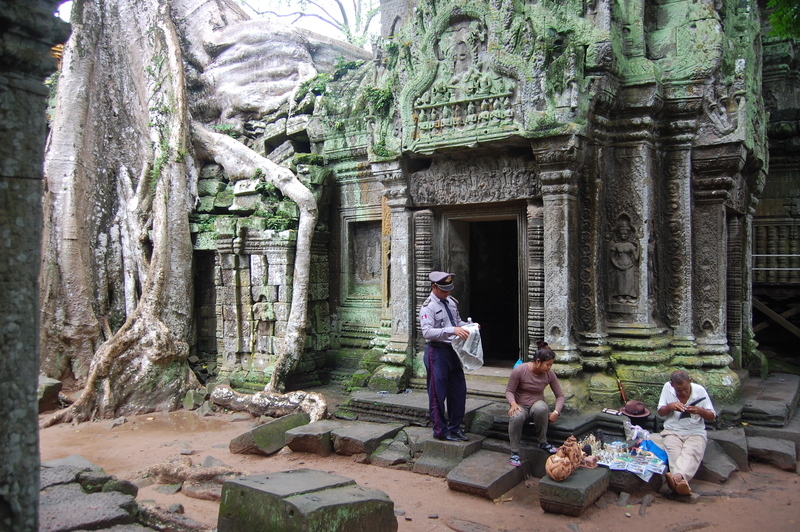 „YOU are lucky people to have an opportunity to visit this magical place” said Narrin, a local guide who is reassuring us with his broken English. It’s 4pm and a tropical storm has only stopped a few moments ago, leaving the rain in a drizzly state. 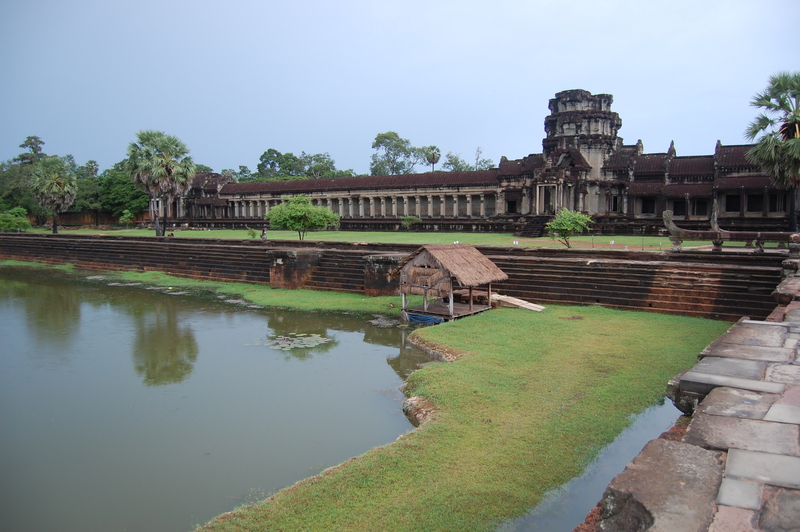 Nonetheless, he is bravely convincing us to stay, so that we can admire the sunset included in the Angkor Wat visit! Don’t miss it too! 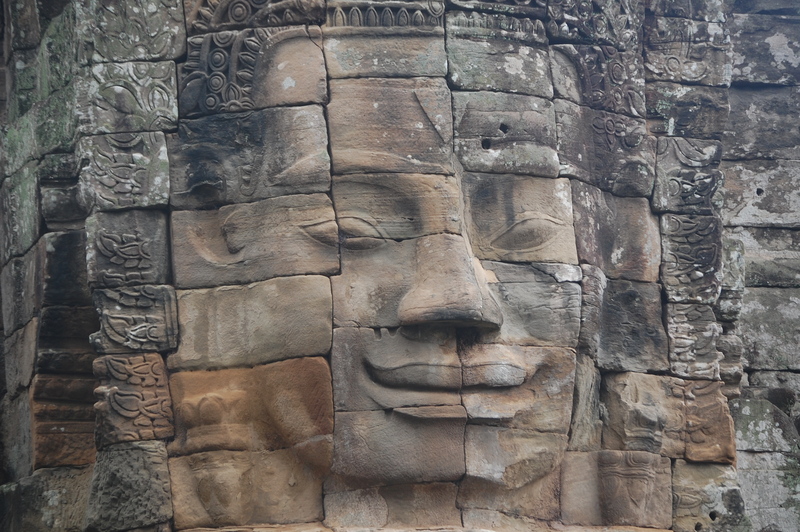 ANGKOR THOM – was the last and most enduring capital city of the Khmer empire and another amazing temple that shall not be missed during your visit. 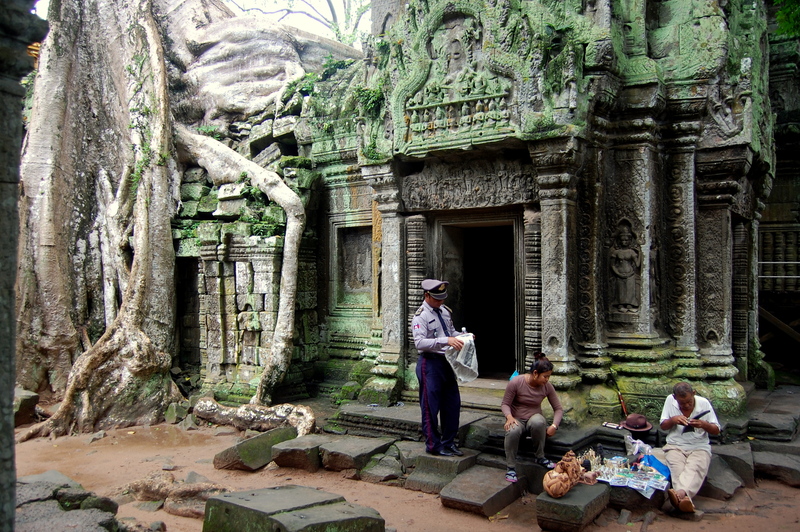 TA PROHM – is for me the most mysterious of all the temples! 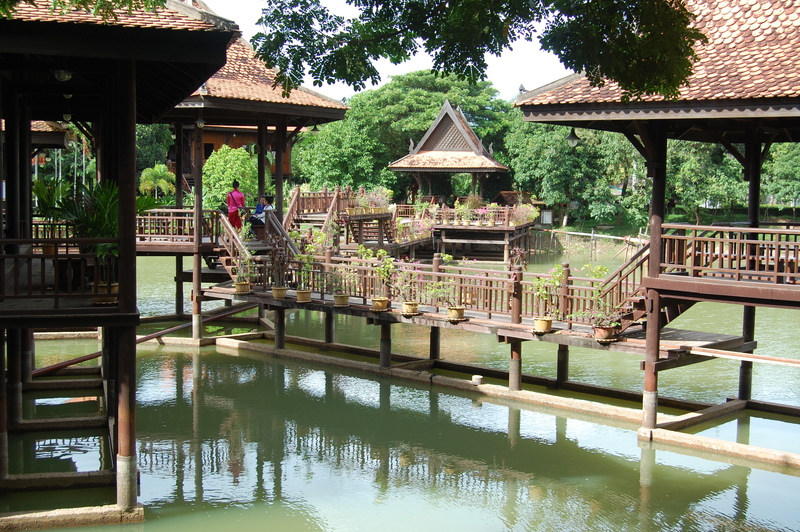 MY EXTRA TIP – CAMBODIAN CULTURAL VILLAGE is a theme park and museum. 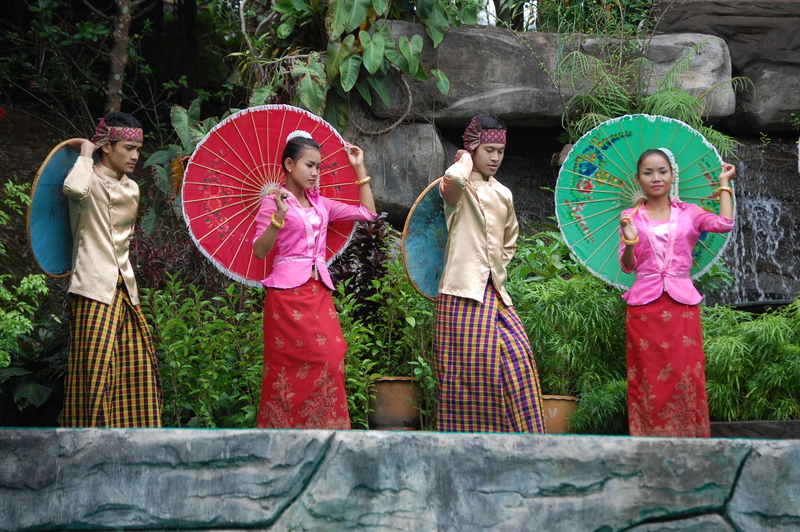 Here visitors can attend several original performances and colorful dances of ethnic groups. 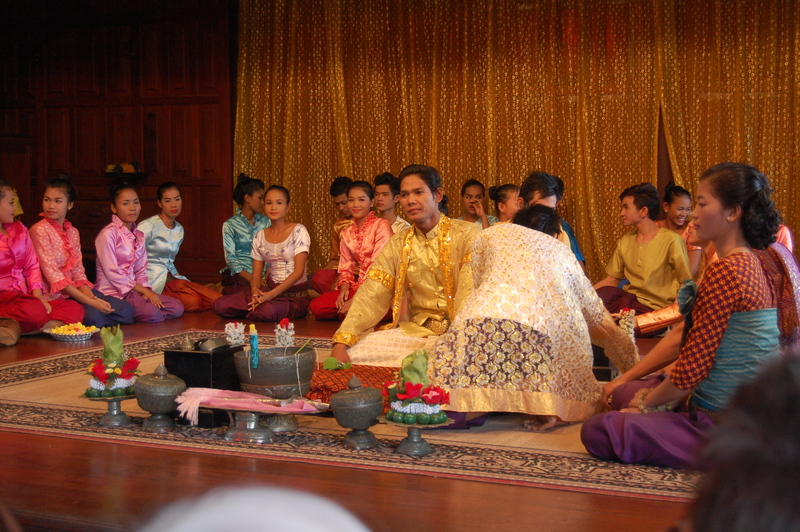 We even participated in a local traditional wedding ceremony! 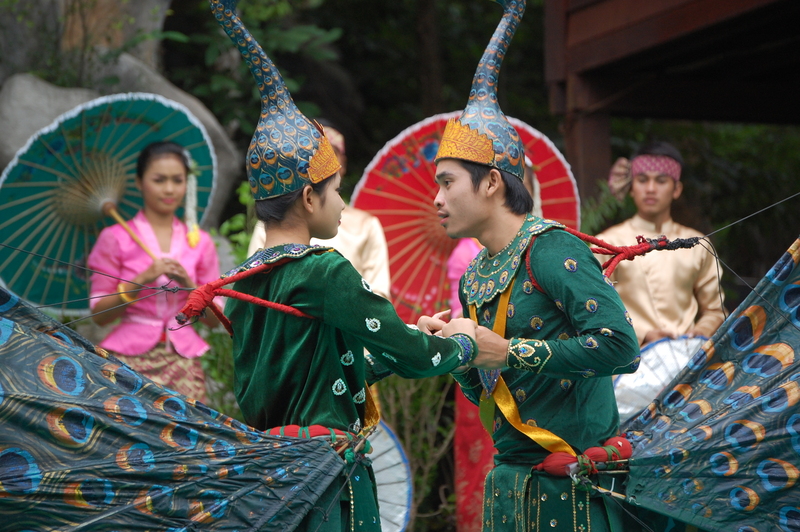 Other shows included acrobats, elephant shows or Khmer boxing…it is a chance to travel back several centuries and live again some of the rich and special local traditions. 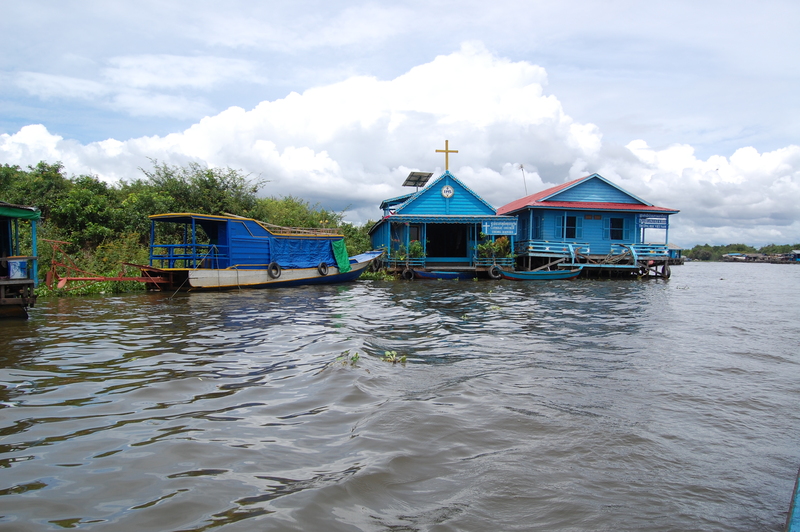 KOMPANG PHLUK – is one of the floating villages near the Siem Reap. 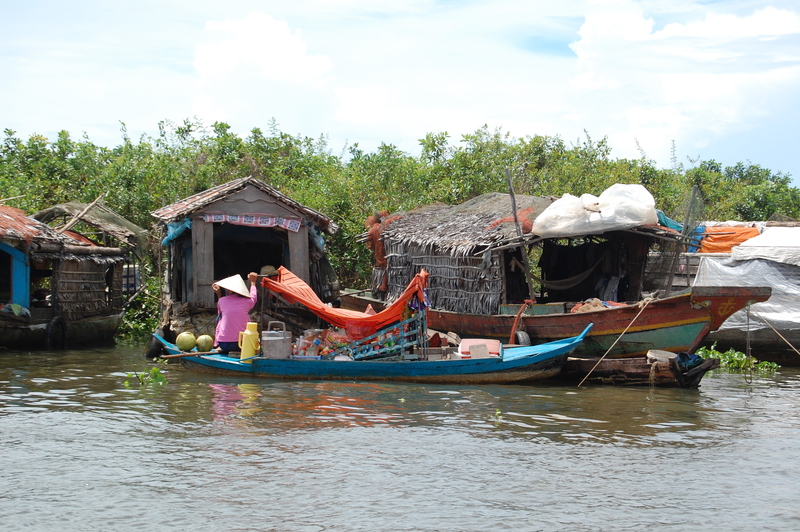 We spent interesting half-day boat trip around the area. 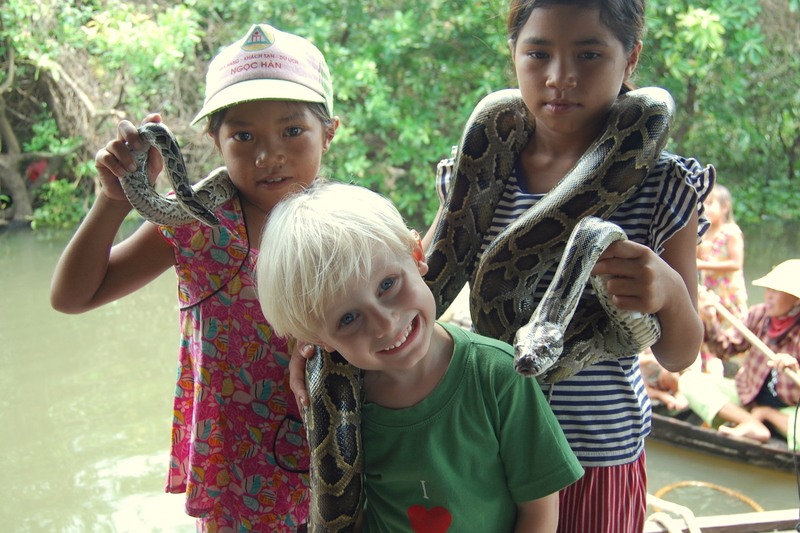 We saw small crocodile farm or floating church even the kids playing with the real snake. It was scenic and enjoyable and original experience to mix with local people and their unusual way of life not much see in these days anymore! 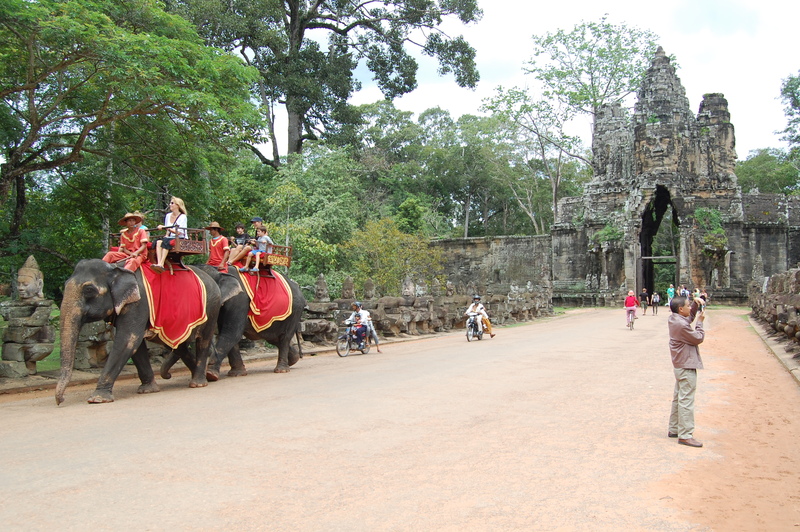 We enjoyed every minutes of our short trip to Siem Reap and were happy to learn that Cambodia is not only about Angkor Wat! 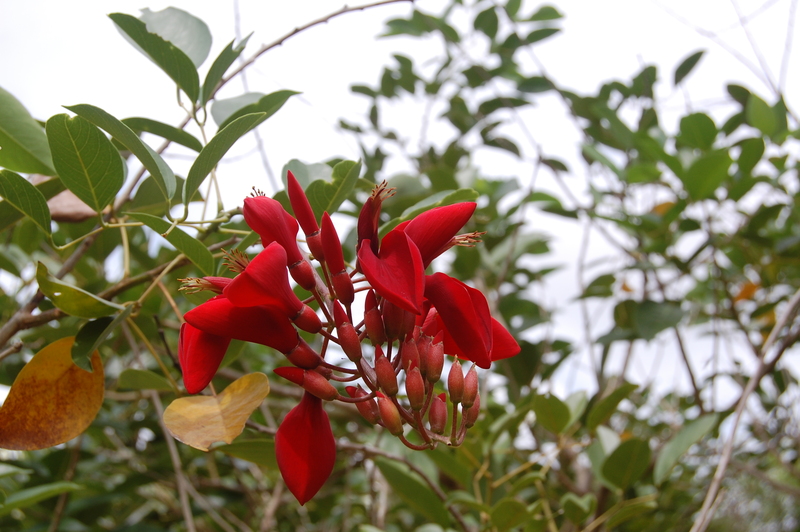 It is a perfect destination for re-discovering the past, to meet friendly local people, for sports (golf, scuba diving or cycling) or even to meditate a bit if you are into it. 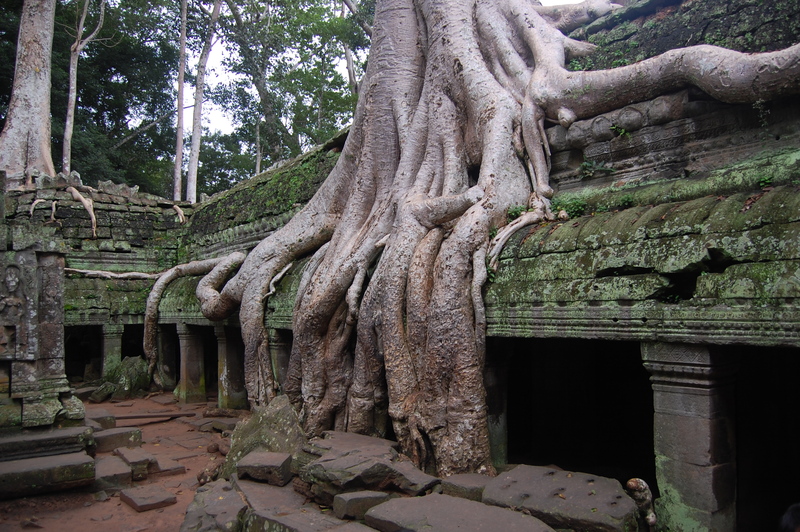 Cambodia will transport you from a hectic contemporary life back into the history and amazing tropical nature.